From the same people that brought you Temple TUFF/Inside the Owl's Nest, take an inside look at Temple University's basketball team. 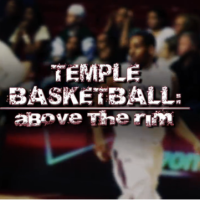 Temple Basketball: Above The Rim is an all-access mini-series that follows the Temple University Basketball Team through the day-to-day grind of a college basketball season. The show takes its viewers onto the practice courts, in the locker room, into film sessions and into the arenas on game nights to show what it's like to be a part of a nationally recognized basketball program.